Also available with posting slot. 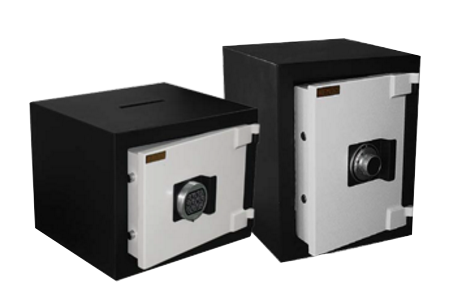 A utility safe which is specially designed for protection of valuables and limited amounts of cash against fire and burglary attempts. It is ideal for homes, offices and retail shops. With its user-friendly locking-systems, the new Venus Safe offers maximum security and convenience, perfect for modern living. Locking Option: Secured by a 3-wheel combination lock, Digital Lock or a 7 lever Germany keylock. Improved moving boltwork is fitted with 2 fixed boltwork at the rear. Bolt down facility as an option to further prevent the safe being moved away. 40mm door and body protective thickness.